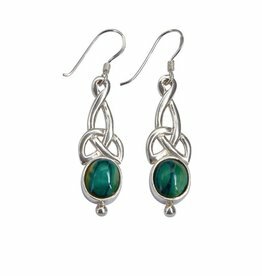 Stunning Celtic Window to the Soul Teardrop Earrings. 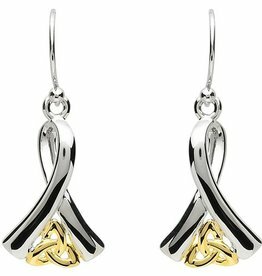 Sterling Silver with 24K Gold gilding on the inside. 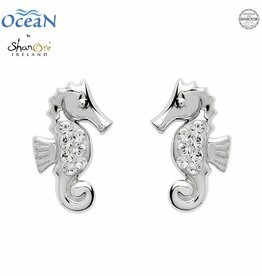 Double sided. 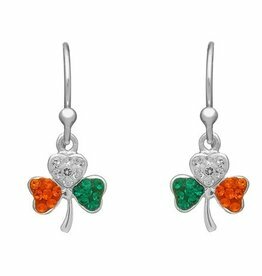 1" long 3/4" wide with leaver clasps. 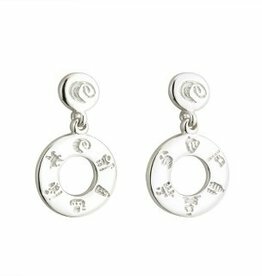 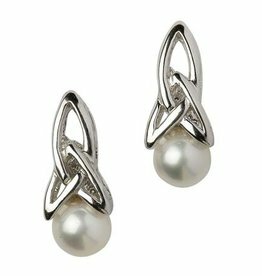 These Celtic Trinity love knot Earrings have been finished with a beautiful Cultured Pearl all in Sterling Silver.Each hand-crafted design has been Hallmarked in the Dublin Assay Office. 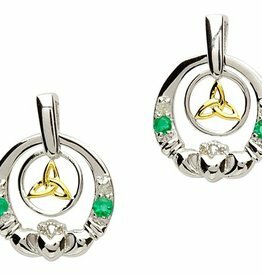 Has a matching Pendant & Ring. 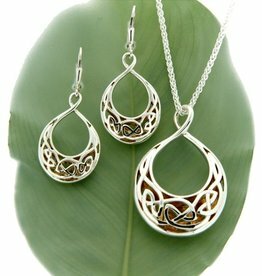 Gift Boxed & Made in Ireland. 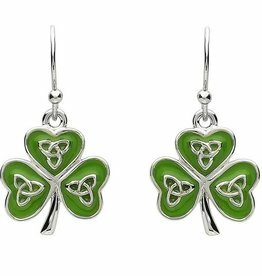 These beautiful Heathergems Celtic knot earrings are made of sterling silver and measure approx 33 x 9mm. 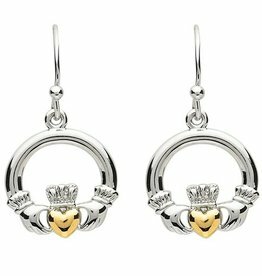 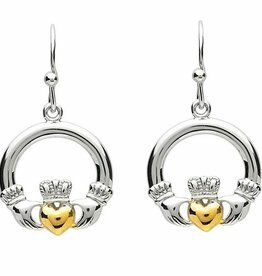 The classic Claddagh done with modern charm. 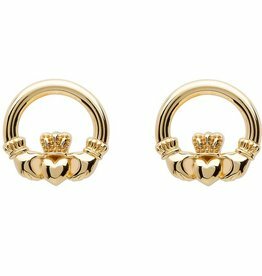 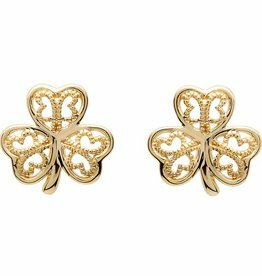 Who wouldn't love these 10K gold stud earrings? 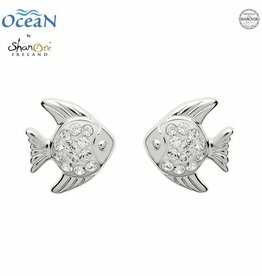 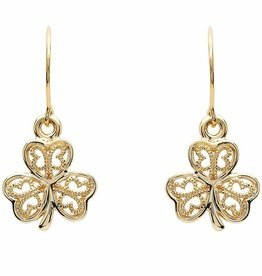 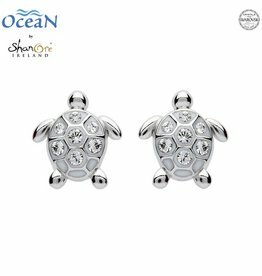 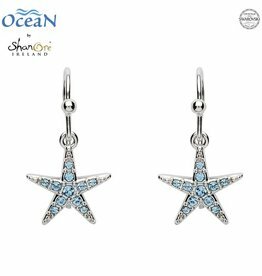 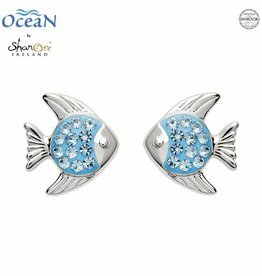 Part of Shanore's 10k Gold collection, these earrings make a great gift for yourself or a loved one. 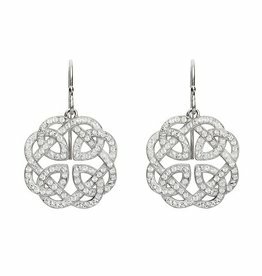 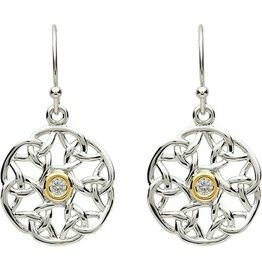 These sterling silver earrings are stunning as they sparkles with the adornment of white Swarovski Crystals. 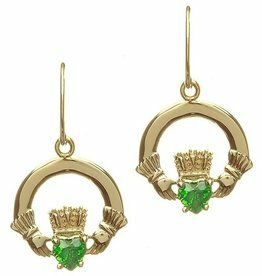 The earrings measure approx. 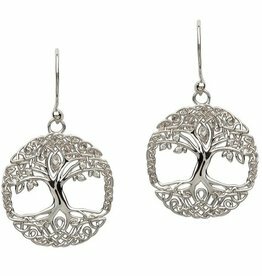 5/8 x 5/8 of an inch and dangle from comfortable ear hooks with a lever back that closes.